Peppermint oil has been renowned for its amazing health benefits for hundreds of years. 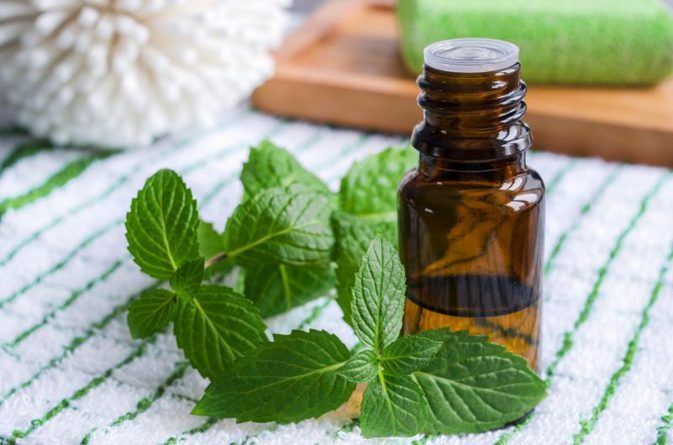 With its long history of medicinal uses, peppermint oil is one of the oldest and most loved natural remedies for a wide range of ailments, illnesses and beauty requirements. With such an interesting history, we thought it was about time that we went through all the wonderful benefits of this much loved oil. It may have a long history that impresses everyone from pharmacists to beauticians but its future looks even more promising as we become more savvy with the products we use and as the demands for natural products increase. Peppermint oil has long been known for its abilities to soothe cold and flu symptoms. You will have no doubt seen peppermint oil in your standard cold and flu treatments and you’ll certainly have used it in those wonderful remedies for unclogging airways, correcting swollen sinuses, and for soothing sore throats and irritating coughs. Therefore always having peppermint oil in your home means that you will always have something at hand for dealing with those common ailments. For sore throats the chemical properties in peppermint oil work to temporarily cool and calm the pain, whilst also thinning the mucus in your body. In addition to this peppermint oil also has anti-inflammatory properties which also work to further reduce the swelling and provide relief to the discomfort of a sore throat. A good way to consume peppermint oil, for a sore throat, is by drinking it as a tea, with honey, lemon and ginger to really boost the immune system and speed up recovery. For controlling coughs and for clearing blocked airways mix two drops of peppermint oil along with lavender oil and lemon oil into a diffuser in order to breathe in the health boosting properties. If you don’t have a diffuser then you can mix these oils and add them to a small cloth or piece of material, which you can inhale regularly to be getting those wonderfully relieving scents into your system. For adults and children suffering from chesty coughs of mucus build up in the chest you can create a menthol chest rub. By just mixing peppermint oil, coconut oil and a little eucalyptus oil you can create a really effective DIY chest rub that will clear the airways and relieve tension from the mucus buildup. For sinus problems, boil a pot of water and add a few drops of peppermint oil, with a touch of tea tree oil, whilst the water is still steaming. Then cover your head with a towel and with your eyes closed lower your face over the water and inhale in the vapour to help clear up your sinuses. Peppermint oil is also really effective at relieving pain. As it contains anti-inflammatory properties, peppermint oil has been used as a form of pain relief for centuries. For any aches and pains, peppermint oil can be dropped into a warm comforting bath to fight away aches and pains. By just mixing in some bath salts with around 18 drops of peppermint oil, simply soak your body to begin soothing those aching muscles. Joint pain can also be treated by rubbing in a peppermint solution into the troublesome joints. Create a joint pain easing solution by mixing around 14 drops of peppermint oil with either an ounce of sweet almond or coconut oil, then massage into joints for quick relief from pain. This treatment also works for sore and tired muscles. Those lovely anti-inflammatory properties also work well for relieving tension from headaches. Using peppermint oil to get rid of headaches is a really effective, natural way to treat this common ailment. Simply massaging peppermint oils into the temples, across the forehead and even behind your jawbone offers rapid relief from pain. Skin irritations can also be treated by the magnificent peppermint oil. Any skin irritation from burns, dryness or rashes can be drastically improved and soothed by using peppermint oil. Be careful when applying directly to skin however and make sure that you are diluting it with another kind-skin oil like coconut or olive oil in order to be extra kind to problematic skin. Don’t use any more than 15 drops of peppermint oil per one ounce of almond, coconut or olive oil. This is one of our personal favourite benefits of peppermint oil, those for our digestive health. It has a seriously impressive record when it comes to helping with a wide range of digestive problems and for that we should all hail this wonderful natural oil. For indigestion, peppermint is famous for its power to calm and sooth the muscles of the gastrointestinal tract. It also helps to make the flow of bile, in this area, flow more smoothly. As bile is the chemical which our bodies use to digest fat this is an incredibly important function. As peppermint oil helps food to pass through the gut more easily and efficiently it is an important natural oil for anyone that suffers from indigestion, constipation and IBS (irritable bowel syndrome). However anyone that has indigestion problems just to GERD (gastro-esophageal reflux disorder) should avoid this remedy as peppermint oil will worsen the heartburn associated with GERD. Peppermint oil is also king when it comes to pain, bloating, gas and diarrhea. Many people that suffer from IBS symptoms find that taking peppermint tablets can really help to relieve some of the pain and discomfort these symptoms bring about. Peppermint tablets are a good idea for IBS sufferers as they prevent the oil from being released in the stomach which can result in indigestion and heartburn. essential oils for nausea doesn’t work for everyone, it is definitely worth trying the next time you feel sick to see if it helps. Take a small sniff of peppermint oil and if you find that it helps to soothe your stomach, add a few drops to your diffuser to release the scent into the air to help you with your feelings of sickness and nausea. The effects of peppermint oil are so powerful in fact when it comes to fighting against nausea that it has even helped many women through the horrible nausea symptoms of morning sickness. Peppermint oil also goes a long way when it comes to the care of our teeth, gums and overall oral care. Just applying 2 drops of peppermint oil to a cotton swab and then applying to the area of tooth ache can work wonders for relieving soreness and will also help to disinfect the problematic area. It is no secret that peppermint oil also freshens breath and home remedies for bad breath are also really easy to create. Mixing 4 oz of distilled water with 2tsp of baking soda and 2 drops of peppermint oil and hey presto, you have your very own DIY fresh breathener. As peppermint oil is antibacterial it fights against fungal problems so regular use can help to combat oral fungus on a long-term basis. Peppermint oil is not just fantastic for humans however it is also a fantastic oil for our pets. You can use it as a tick and flea repellent. Simply mix peppermint oil with rosemary, eucalyptus, tea tree and citronella, a little water and spray onto pets (but not cats as they are sensitive to essential oils). You can also make peppermint shampoo to fight against lice by mixing peppermint and olive oil. And you can also use peppermint oil, in the form of capsules, to fight against intestinal worms in your pet. As you can see the benefits to this wonderful, natural oil are endless. So if you don’t already have any at home, you may want to invest in a little bottle of this lovely stuff and experiment with all the weird and wonderful ways it can improve your health.